Throughout the year, classes and forums provide opportunities to address a variety of contemporary spiritual and social issues. Bible study, the history of the Episcopal Church, Theology lectures, and a Seekers Class for adults wishing to be received or confirmed in the Episcopal Church are examples of these opportunities. Adult forums are held on Wednesday Evenings following the 6:30 service of Holy Eucharist with Healing, and other classes are scheduled at a variety of times and dates, as announced in the weekly eParish News. Throughout the liturgical year, Rev. Lennox offers lectures on various historical and contemporary theological issues in the life of the church. Topics rang from “Sin and the Human Condition” to “Medical Ethics and the Church” to “Exploring the Doctrine of Eschatology”. Please visit our website throughout the year to learn more about these Adult Education offerings. Mostly, these lectures take place following the 6:30pm Service of Holy Eucharist with Healing on Wednesday evening. During Advent and Lent, we select a book for a parish-wide read and then meet on two occasions at the Rectory to discuss the book as it relates to our individual and common lives. For information about these gatherings, please contact the parish office by email or phone, 201-792-3563, or visit the website during Advent and Lent. Are you interested in participating in a Bible Study Group? Meeting times to read and reflect can be flexible, depending on the availability of those interested. Please contact the parish office for more information or to indicate your interest and availability. Phone: 201-792-3563 or email. An Adult Seekers Class usually meets in the spring, following Easter and just prior to confirmation. 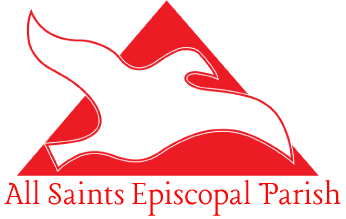 If you are an adult wishing to be confirmed or received in the Episcopal Church, or if you are just interested in learning more about the Episcopal Church, please contact the parish office by email or phone 201-792-3563.